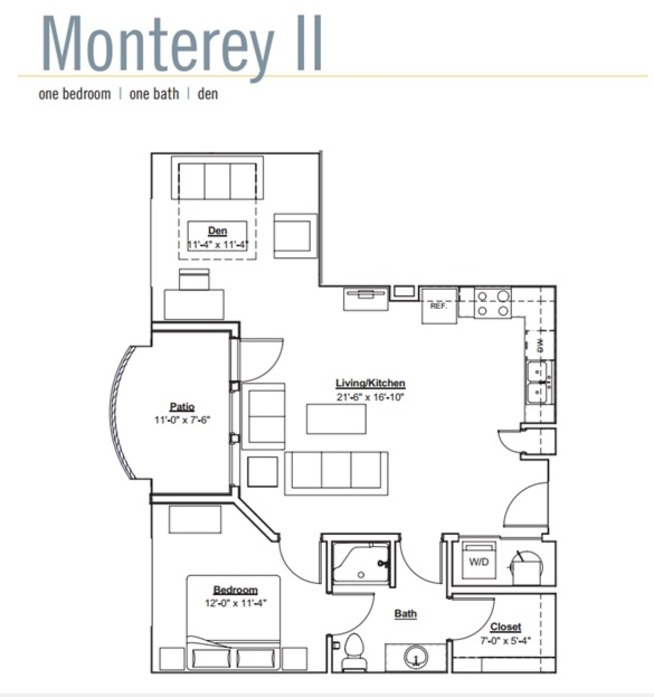 Flats II offers several distinct floor plans including one and two-bedrooms. 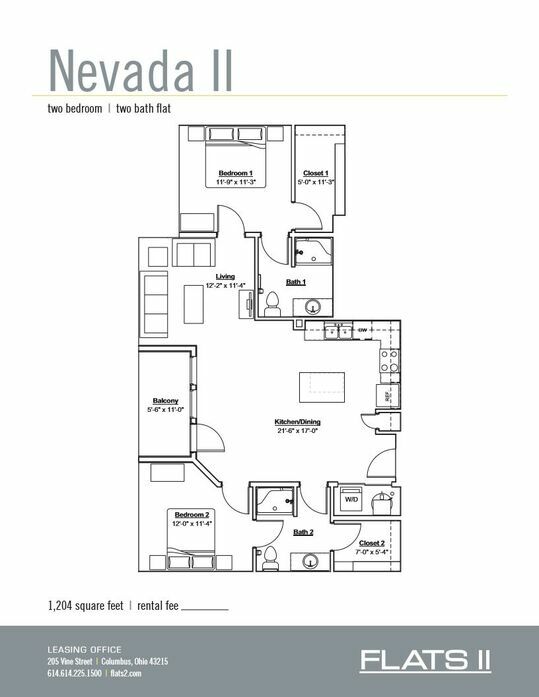 Call today and start doing your thing in the District! 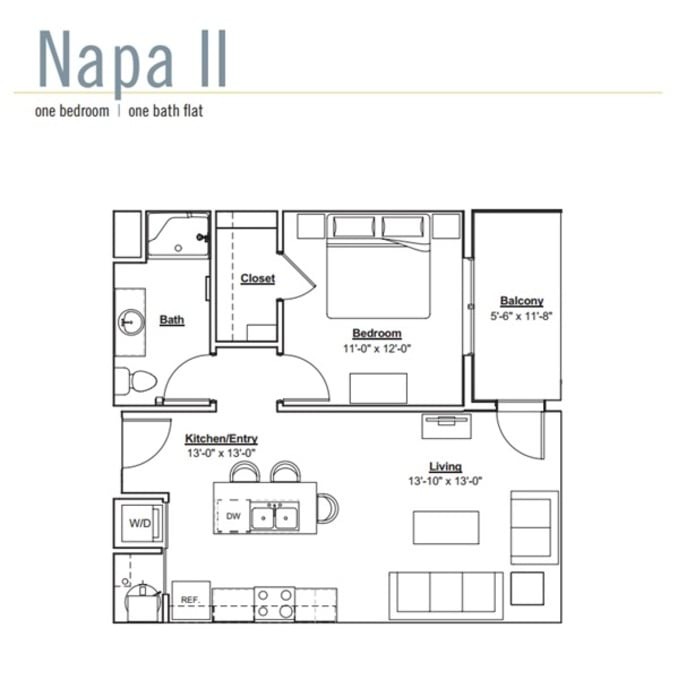 The Napa II features an island kitchen, open concept living area, and walk in closet. 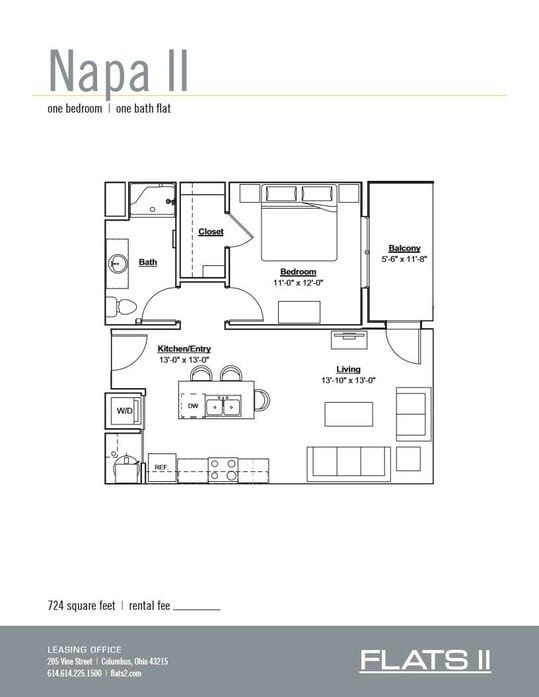 Walk out patio, Huntington Park, Columbus Skyline, and courtyard view options. 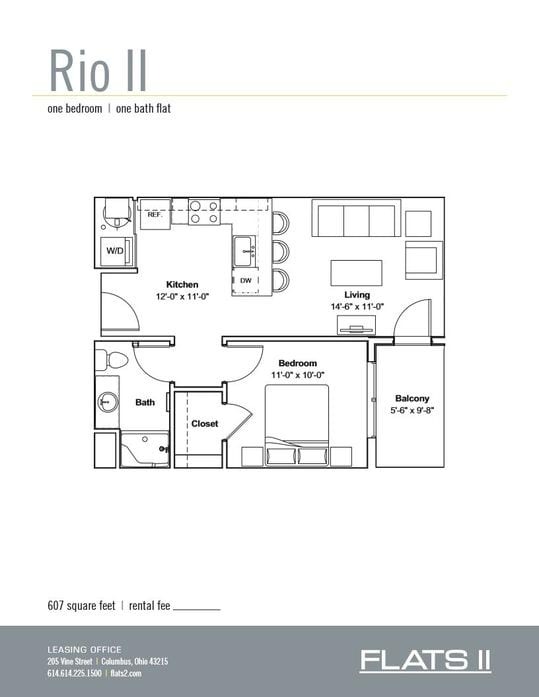 The Rio II features a large kitchen, oversized windows, and walk in closet. 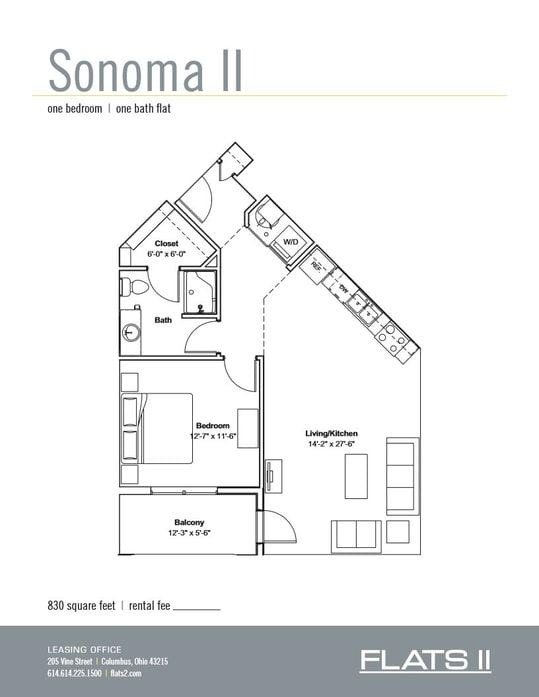 End apartment, Columbus Skyline and courtyard view options. 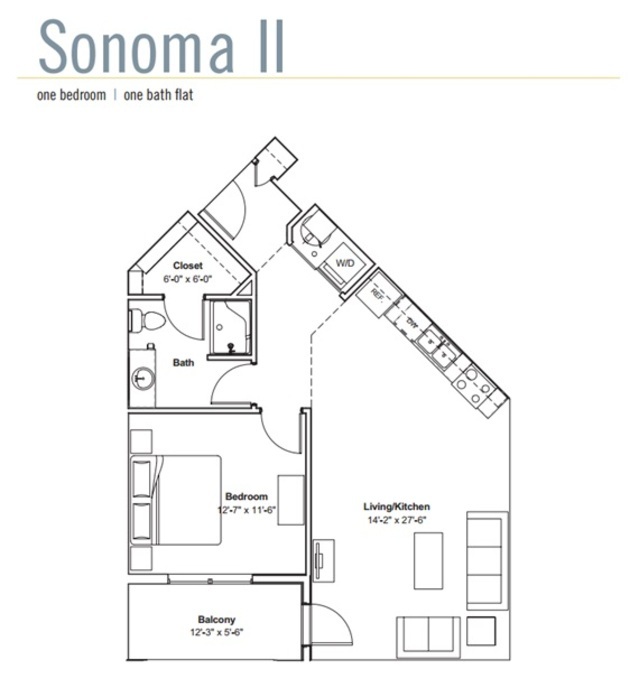 The Sonoma II is a corner apartment with spacious living room, oversized windows, and walk in closet. 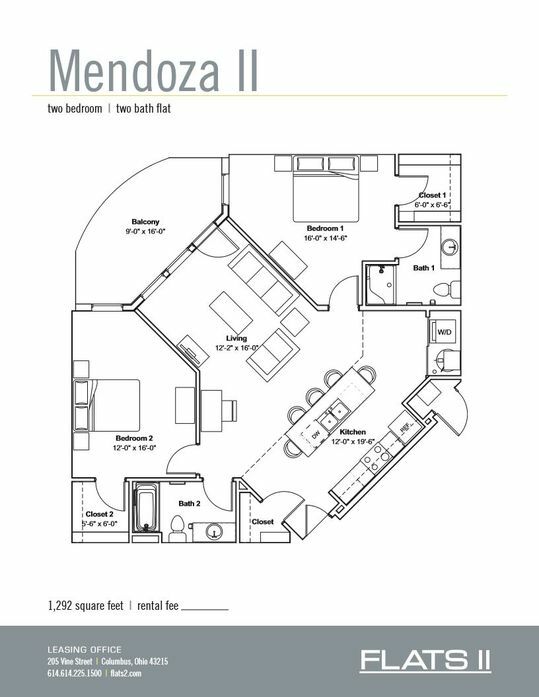 Huntington Park view option. 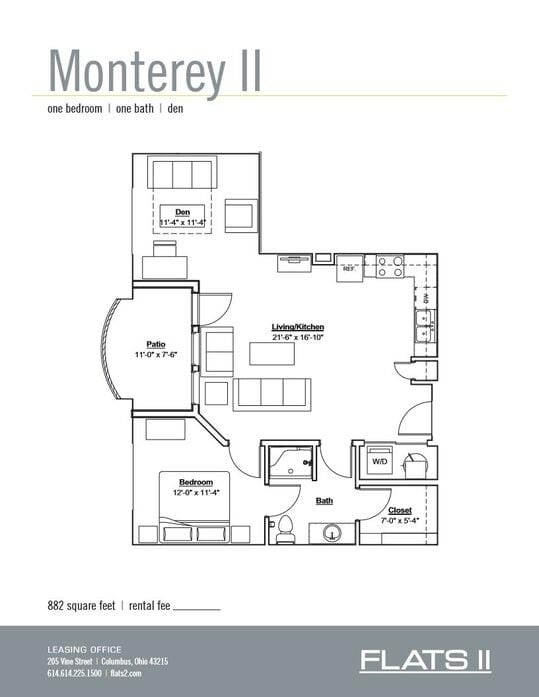 The Monterey II features and open concept living and kitchen area, walk in closet, den and walk out patio. 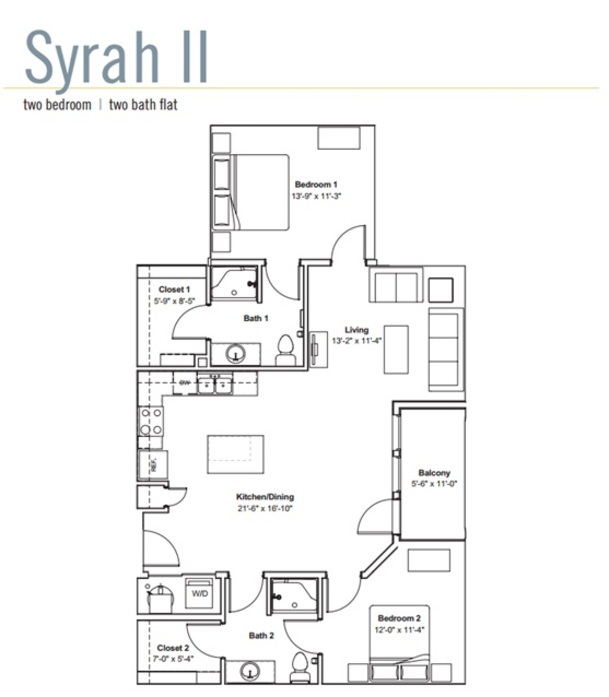 The Syrah II features an enormous living room with multiple oversized windows, huge walk in closets, and balcony. 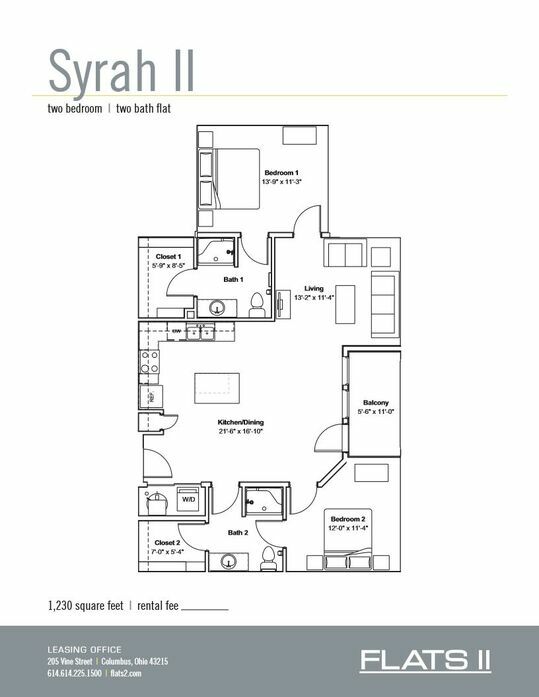 Columbus Skyline view options. 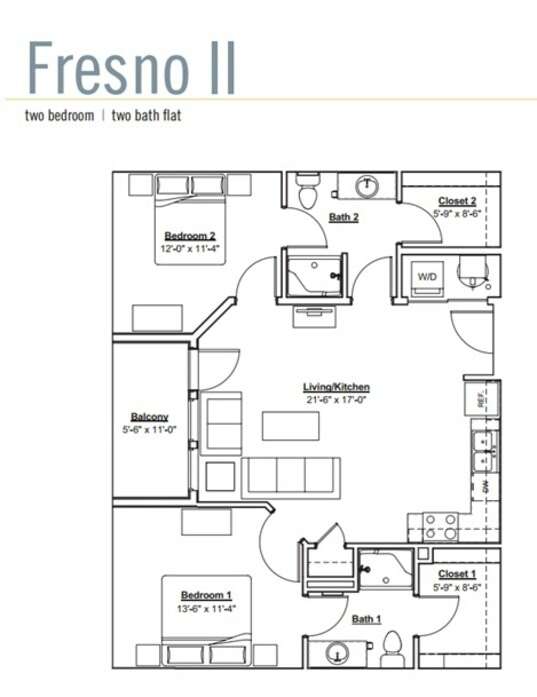 The Fresno II features an open concept living area, roommate friendly bedroom/walk in closets. Faces the courtyard. 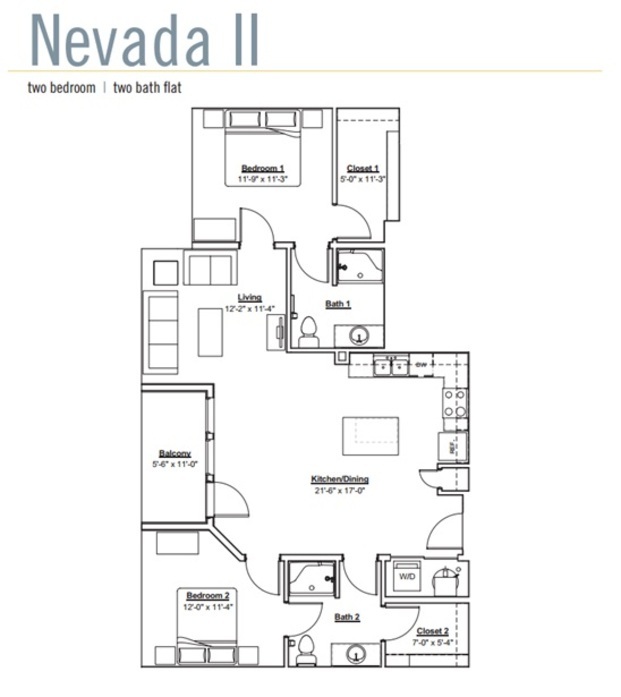 The Nevada II features an enormous living room with multiple oversized windows, huge walk in closets, and balcony. 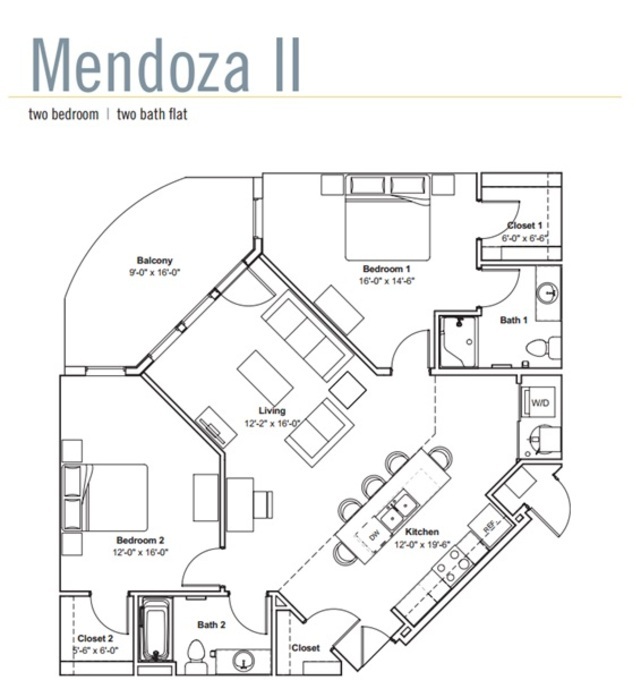 The Mendoza II features an island kitchen, oversized windows, spacious bedrooms with walk in closets and panaramic balcony facing the courtyard. 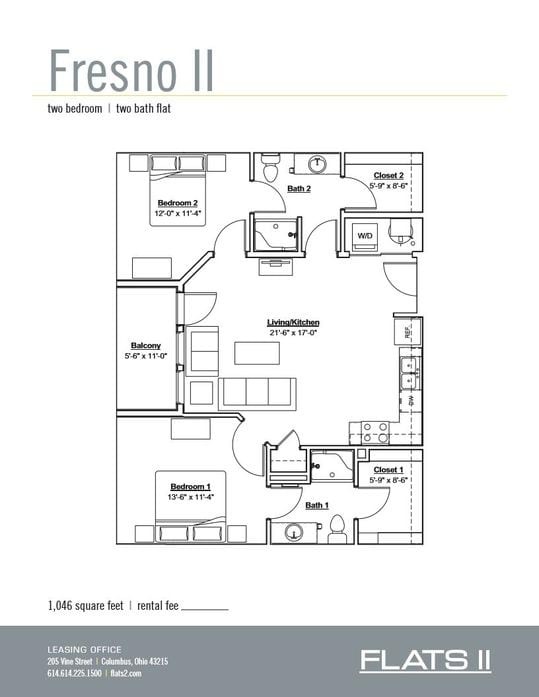 Walk out patio option.